VAM recognizes that Virginia museums are important resources to teachers across the Commonwealth. 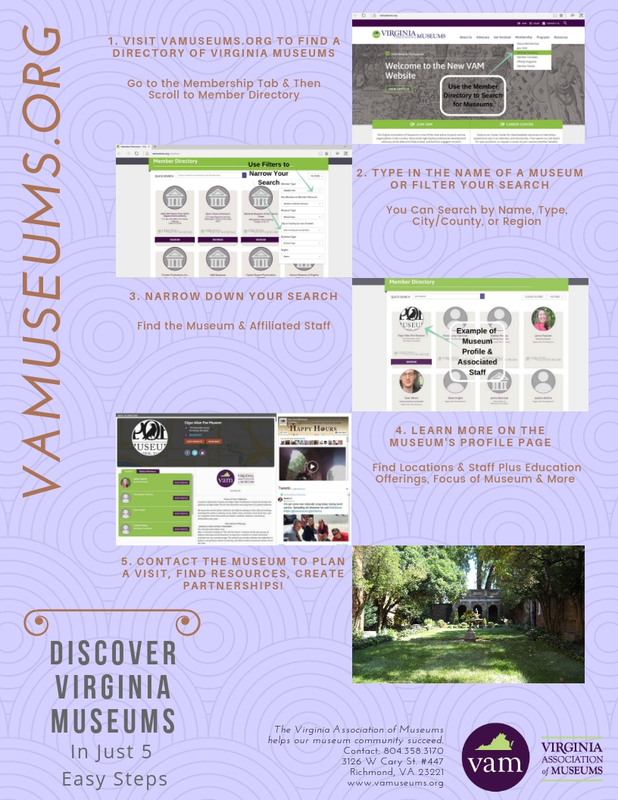 We want to help ensure that all Virginia teachers know about and have access to the educational materials developed by museum educators, and to help Virginia museums to better reach those teachers and share all that they have to offer. Watch this space for more information about our growing partnership with Virginia Department of Education, and for more resources to help you. Webinar, May 21, 2018: How Can Museums Better Serve Educators?